Firefighters are working to extinguish a rubbish fire at the Mugga Lane Resource Management Facility. Twelve tankers are on scene with a commander. ACT Fire & Rescue and ACT Rural Fire Service crews were alerted to the fire by multiple Emergency Triple Zero (000) calls. The first was made at 5:20pm. Crews are cutting a path to the fire which is estimated to be about 100m x 50m. It has been contained to the rubbish pile. Seventeen tankers are now at the site. Units are halfway through extinguishing the fire. Two machines are digging up rubbish which is being watered down by ACT Fire & Rescue crews with support from the ACT Rural Fire Service. Firefighting crews will shortly depart the scene. The fire is under control and tip managers will conduct night patrols of the area. 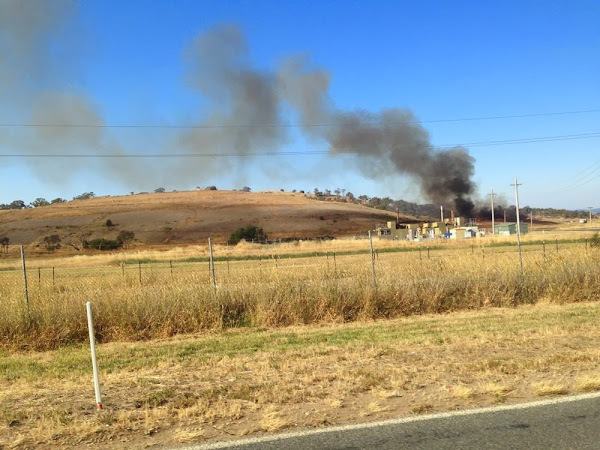 It is expected smoke over the Tuggeranong area will soon clear.